Relay socket for standard/mini relays with up to 9 pins. Incorporates a fixed moulded bracket for mounting. 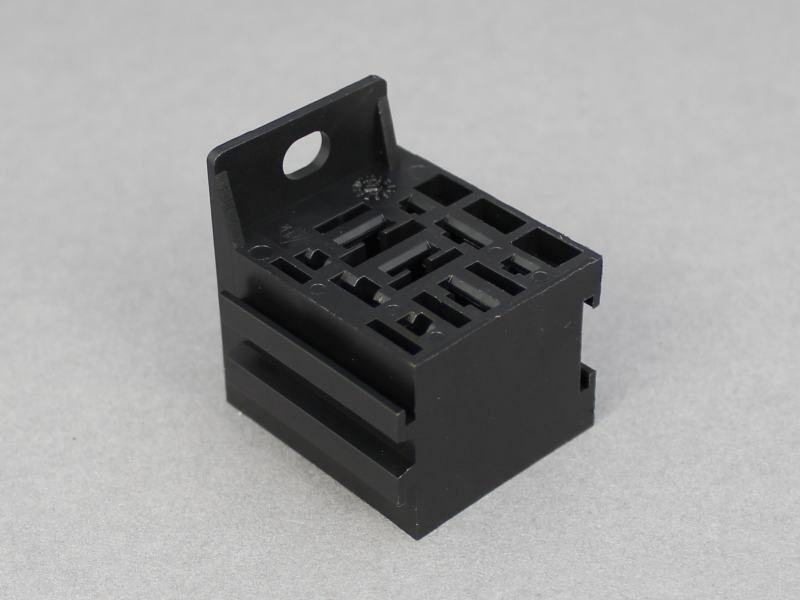 These sockets can be joined together to form a multiple relay block and can be joined to our Fuse Holder P01738, High Current Relay Socket P00805 and Micro Relay Socket P01036 to form a modular relay and fuse block. They are a little bigger than I'd anticipated but the quality is very good and a good price. Exactly as described. Worked s treat. Bought to house Adjustable Delay Timer Relay. Alas insufficient room for insulated female blade terminals. Website should state only uninsulated blade terminals fit. Hi Bill. 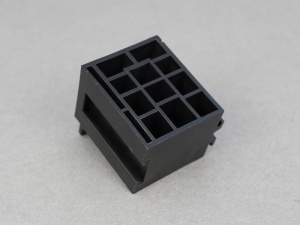 These sockets need to be used with non-insulated female locking terminals (the tabs on the locking terminals hold them in place so they don't fall out when the relay is plugged in to the socket) and there is a link to these on the product page. These are well made and will slot together without having to spend 5 minutes trimming excess flash from the moulding. 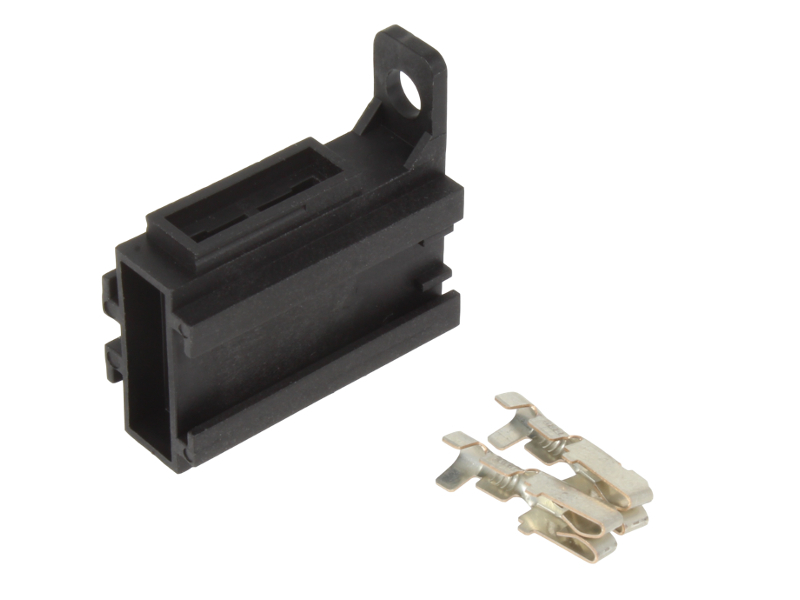 Fits a wide variety of relays and flasher units.